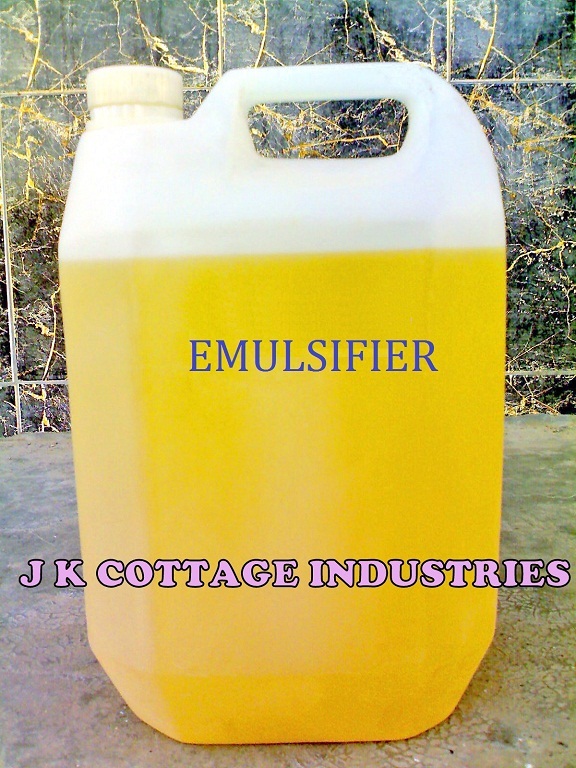 Emulsifier for Pine Oil- Water Soluble This emulsifier is used to make floor cleaners and deodorants which are water soluble and based on pine oil. The details about the emulsifier for making white phenyle. Take one part our emulsifier in a clean container. Add one parts of pine oil while mixing. Transparent and clear white phenyl concentrate is ready. Now dilute it with thirty times (1:30) water to make milky bright white stable emulsion. The ratio of pine oil can be increases to 1.5 to 2 parts.